Amazon filed a curious patent to the U.S. Patent and Trademark Office earlier this week, revealing a pair of smart glasses with the ability to switch between transparency and opacity. That might not sound like a major feature, but it would offer the same functionality as the Oculus Rift and Microsoft’s HoloLens in one headset. A connected tablet will work as the brain for the smart glasses, letting the user switch between opaque and transparent mode. 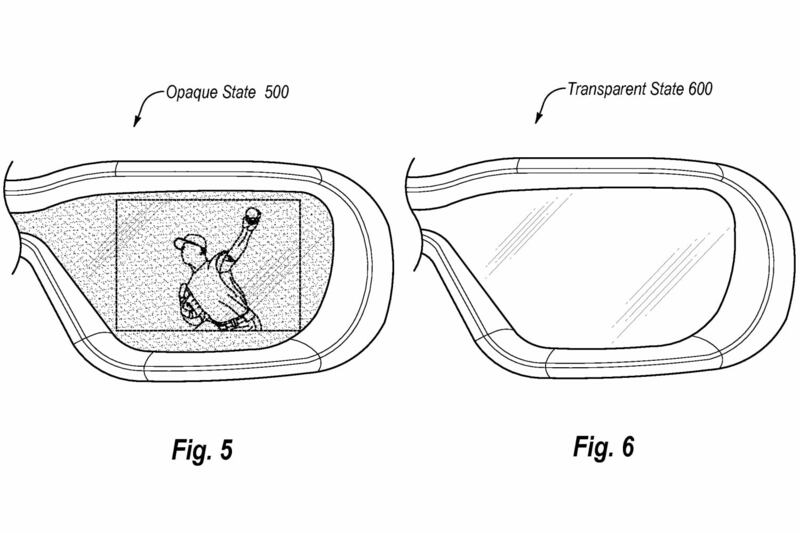 In the patent, the tablet also beams media to the smart glasses, including movies, games, and super imposed images. The latter has been used by Google Glass, HoloLens, and Magic Leap as a way to bring virtual elements into the real world. Amazon claims that for traveling, the smart glasses would remove the large size of a tablet, while providing a more immersive experience. The tablet would still need to be around, to connect with the smart glasses, but perhaps Amazon will add a battery-saving setting when in Bluetooth mode. Amazon’s big change with its own headset is all of the processing is done by the tablet, rather than fitting all of the power into the smart glasses. That makes it different to Magic Leap or Microsoft, which make the headset independent from other devices. The e-commerce giant does tend to follow the latest trends in technology, launching a tablet, phone, and set-top box to compete with Apple and Google. Amazon even banned the Chromecast and Apple TV from its store earlier this month, showing the competition heating up. The smart glasses would follow on from the disastrous Amazon Fire Phone, which offered 3D capabilities without glasses. Amazon has not commented on the patent.